Increased subsidies by government to Local Authorities so they can provide accommodation for low-paid workers. 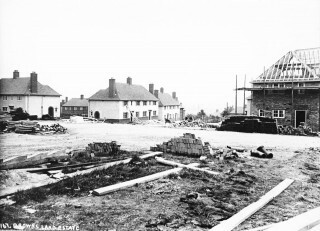 Houses being built on land formerly known as Brown’s Tip. The photograph was taken near Summerfield Road. Company limited by guarantee : 2453081. Registered charity : 702419. Solicitors Regulation Authority - Practice Ref No : 71302. VAT Registration No : 667378092.